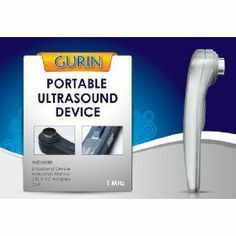 Gurin PU-110 Portable Ultrasound – Advance pain relief using sonic stimulation of soft tissue cells. Home \ Our Products \ Electronic Pulse Massager TENS Unit & Ultrasound \ Gurin PU-110 Portable Ultrasound – Advance pain relief using sonic stimulation of soft tissue cells. This home unit is as close to what the professionals use as possible and yet even safer than most other models! Ultrasound is an excellent way to reduce deep and painful inflammation, joint restriction and swelling. Our Gurin portable Ultrasonic Massager is an ultrasound device that can produce one million vibrations per second. This causes the tissues to compress and expand at the same frequency of ultrasound and this effect is called micro massage. Micro massage, stimulates the tissues and improves the metabolism of cell membrane and leads to the generation of frictional heat. It helps circulation and muscle relaxation during the process and promotes healthy care for deep tissue. The ultrasound has an automatic timer which is preset to operate for 10 minutes on the treatment area, after which time it will shut off. Features of the Portable Ultrasound: Portable ultrasound unit features Portable ultrasound unit features two power settings. Generates deep heat within body tissues for treatment of selected medical conditions, such as pain relief, muscle spasms and joint contractures. Not for the treatment of malignancies. 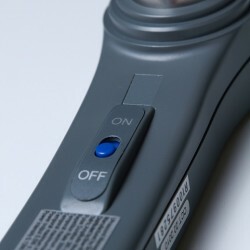 Includes portable Ultrasonic Massager, AC adapter, Gel and instruction booklet. Product Specifications: Output Frequency: 1 MHz. Voltage – Input 100VAC/110VAC/220VAC/240VAC, Timer: 10-minute with automatic shut-off. power settings. Generates deep heat within body tissues for treatment of selected medical conditions, such as pain relief, muscle spasms and joint contractures. Not for the treatment of malignancies. Includes AC adapter, ultrasound gel and instruction booklet. Specifications: Frequency: 1Mhz, Output Power: 0.5 watt, Switch: On/Off, Treatment area: .59 sq inches (3.8cm2), Times Setting: 10 minutes Auto off, Ultrasound Gel: Water soluble, Dimensions: 1.96 x 1.77 x 7.48 inches (50 x 45 x190 mm), Weight: 7 oz (200 gm). Q - Where can I order ultrasound gel? Search for "Parker Laboratories Aquasonic Ultrasound Gel"
Q - Ultrasound does not give any sound/does not seem to be doing anything? Ans - Ultrasound device will not make any noise. To test the device, Put 1 or 2 drops of water on it, if you see water jumping it means it is working. Q - How long should I use it ? Ans - You can operate on multiple areas but one area should not be done more than 10 minutes. Q - Does Ultrasound product any heat? 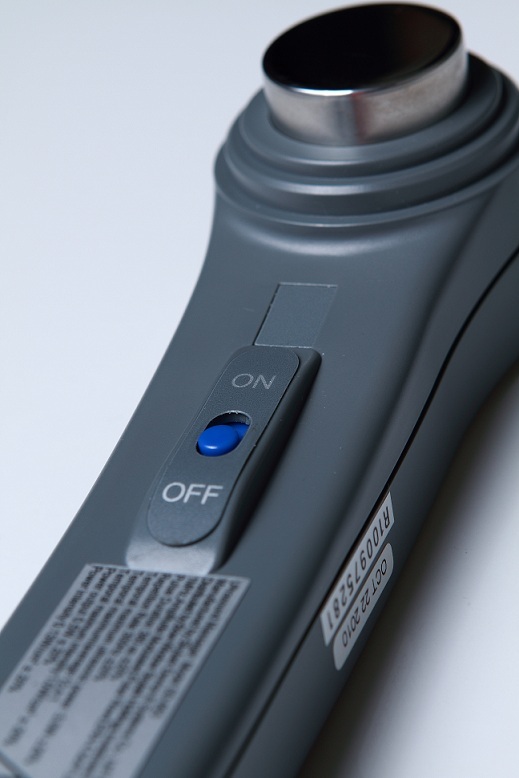 Ans - Ultrasound device does not produce any heat and does not make any noise. It may feel like "It is not working", but it is actually doing its job. To test the device, Put 1 or 2 drops of water on it, if you see water jumping it means it is working.